Take a look at the new features in SureSync and when you are ready to test them out, contact us for a trial for the new v8. If you do not have time to upgrade your licenses , then we are able to offer on site consultancy to upgrade your licenses , please contact us for further details . Enhanced TCP Performance: Get better TCP replication & synchronization performance when using v8’s enhanced Communications Agents. Our benchmarks show especially good results across high latency WAN connections. Alert Enhancements: New alert options allow great flexibility to keep you updated on the information you want to know. Backup Root Path: The new backup root path feature will allow you to create a "recycle bin” type functionality for SureSync v8. Turning this option on will allow an administrator to recover files deleted or replaced by a SureSync Job. This option can also be used when encountering the "resolve multiple updates” feature in multi-directional Rules. 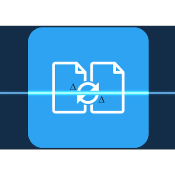 In this case, when the more recent file is selected to replace the other changed file, the file being replaced is retained to be recovered later if necessary. Files are stored for x number of days and then purged. New Communications Agent Configuration: The Communications Agent Configuration panel has been retired in v8. Users can now view, modify and test agent connections without having to launch the separate config panel, making remote settings much more accessible. Enhanced Communications Agent Configuration: SureSync now uses two connections on TCP port 9032. The first connection is used to exchange configuration information between agents. The second connection is used for data transfer. This allows you to easily change encryption type and other settings on the data connection and have those changes distributed to remote agents easily. 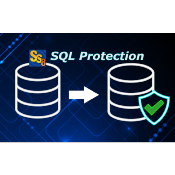 SQL Protection Restore with Standby: A new restore state is now offered in SQL Protection. This restore mode allows read-only queries to be executed by users against the standby server’s database which can be useful for reducing processing load on the main SQL server. FileCatalyst Support: FileCatalyst is a powerful file acceleration server technology. 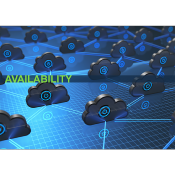 SureSync supports FileCatalyst server paths as FTP paths allowing for scheduled synchronization to and from a FileCatalyst server.